My projects in the studio are close to being finished. Well probably not, but closer than ever before. The road has been tumultuous, as I am learning the process as I go. 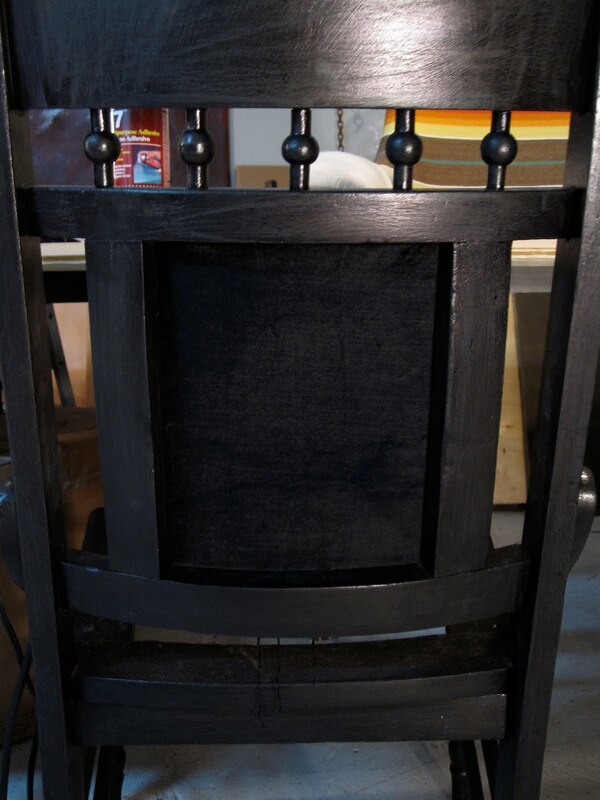 There was trouble with the pattern I made for the seat back, so I am going to have to piece it together. 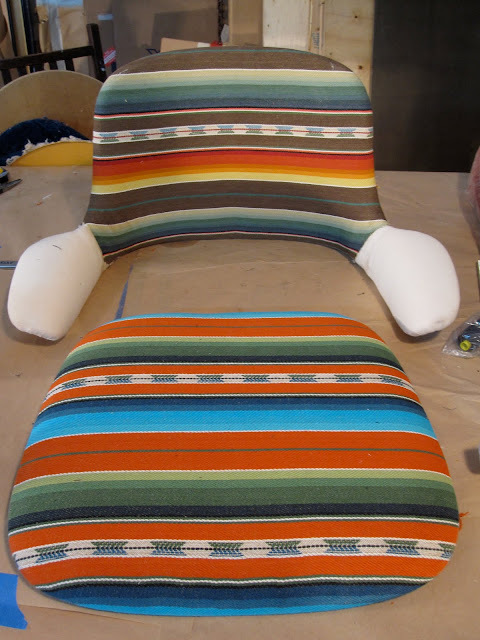 I am using the same Guatemalan fabric in two different colorways for this chair. 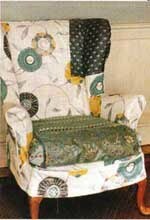 A velvet seat back for the Farmhouse Chair. The front will be in the button fabric. 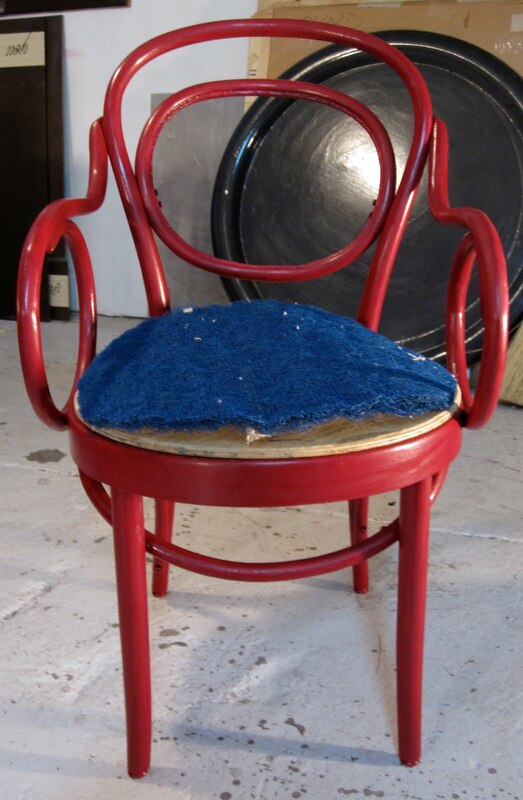 I layered magenta and red lacquer on the bentwood chair, but now I need to beat it up a little bit. I like my pieces to feel worn. The blue stuff is rubberized hair. I am using it as an eco-friendly alternative to polyfill and foam. I have to do more research on whether the hair is a more green product. 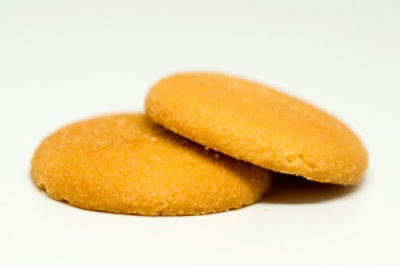 The old foam seat cushion looks like a giant Nilla Wafer.